The Colorado Women's Bar Association Foundation's (CWBA Foundation) mission and purpose is to promote the advancement of women in law, and to protect and promote the welfare of all women. We accomplish this mission by providing annual scholarships to law students at area universities, as well as supporting the Colorado Women's Bar Association's (CWBA) charitable and educational work. Support the CWBA Foundation on December 4th! Colorado's largest day of giving, Colorado Gives Day, is taking place on Tuesday, December 4, 2018. On this day, thousands of people come together to support Colorado nonprofits like ours. When you donate to the CWBAF Foundation, you're helping us expand our current scholarship program and continue efforts to strengthen women leaders in our industry and community. Please help us reach our goal of 100 donations. 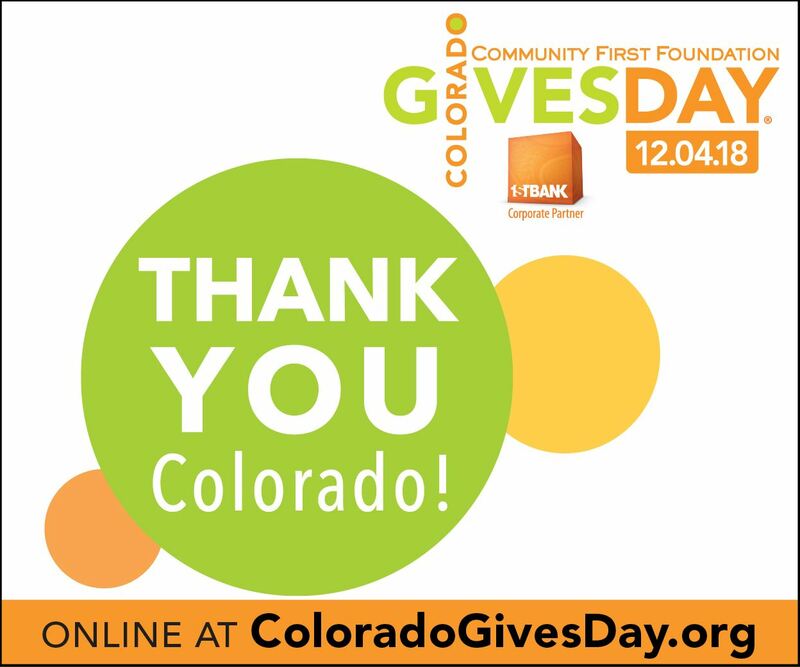 Thanks to the $1 Million Incentive Fund from Community First Foundation and FirstBank, your donation goes further on Colorado Gives Day. To donate to us on Colorado Gives Day, Click Here. Be certain to schedule your donations now to arrive on Colorado Gives Day - December 4th! Attention Circle of Minerva Members! In lieu of your 2018/2019 Circle of Minerva payment, make a minimum donation of $150 through Colorado Gives Day and receive credit for your annual fees! How to Schedule Your Donation in Advance! 3. Under Donation Frequency, make sure "CO Gives Day" is selected. This option will schedule the donation to process on Dec. 4, 2018, Colorado Gives Day. 4. Complete additional fields and click "ADD TO CART."